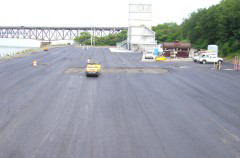 Save money and get the job done right when you hire Mathias Paving for your next paving project. Our New England weather is especially hard on driveways, parking lots, and the streets we drive on every day. 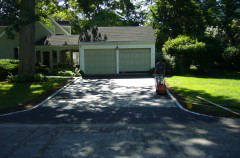 New England weather can cause havoc on driveways, walk ways and parking lots. 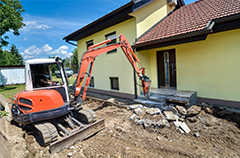 When you see excessive wear and tear in your pavement, it's time to give us a call. We will send one of our knowledgeable professionals to provide you with a free consultation and estimate. 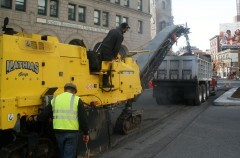 We quickly let you know how we'll help with your pavement repairs. You can be confident that our entire crew is composed of skilled professionals who take pride in their work. Let Mathias Paving handle your commercial or residential paving project. 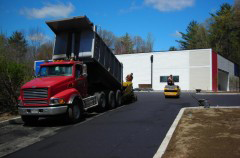 For more than 30 years, Mathias Paving has provided the highest quality paved parking lots, roadways, residential driveways, and athletic courts in Boston, Massachusetts, and the surrounding areas. We specialize in commercial and residential paving, always providing superior quality work with efficient, state-of-the-art equipment. Our staff members know their business and take pride in their work. 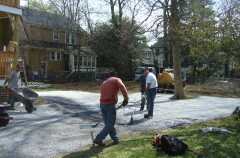 The owner of Mathias Paving is always accessible to you and personally oversees every job.